Above: Navajo Lake Trail, August 6, 2014. Left: El Diente Trail, July 22, 2004 and October 4, 2012. 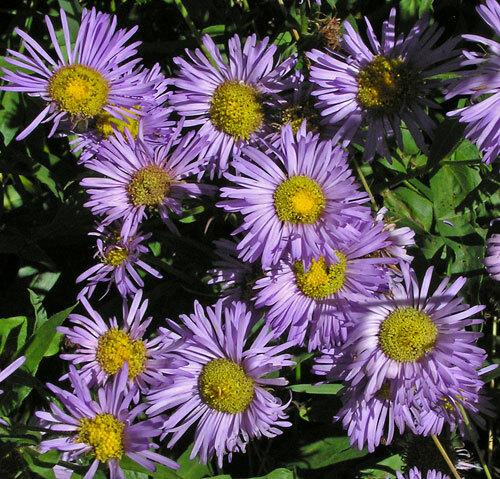 Showy Daisy, one of the most common Erigeron species in the San Juan Mountains and in much of the mountainous Four Corners area, is abundant from mid-mountain elevations to sub-alpine meadows and it puts on a grand display in mid and late summer. Its fuzzy lavender buds give way to multi-rayed lavender flowers in large bouquets. Leaves are narrow, openly spaced along the stem, and often have hairs along the margin ("ciliate"). 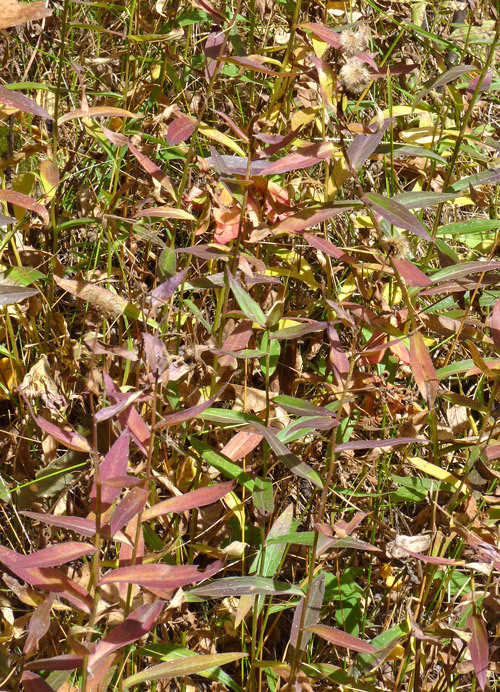 Stems are maroon-tinged. 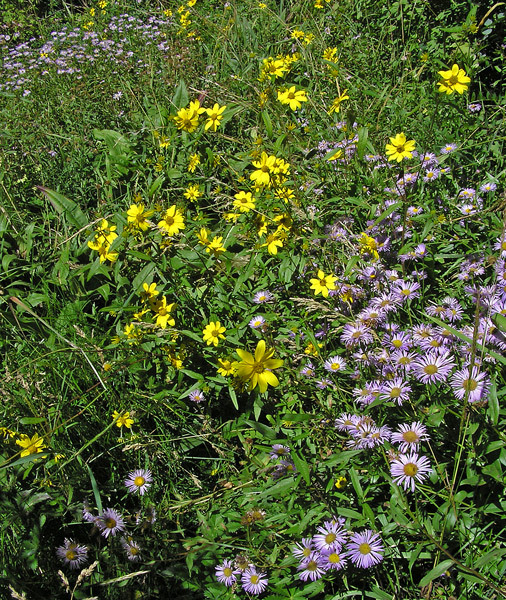 Fall colors are subdued hues of reds, purples, yellows, and greens. 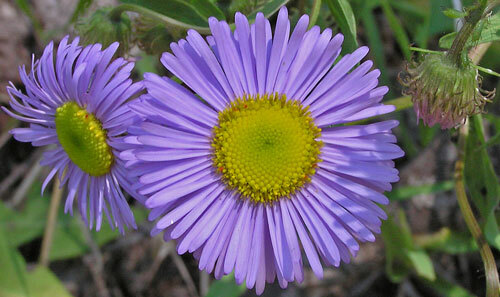 Compare Erigeron speciosus with the very similar Erigeron subtrinervis. "Specios" is Latin for "showy" or "beautiful". About 1830 David Douglas (of Douglas Fir fame) collected the first seeds of this plant in California; they were grown into plants in England. 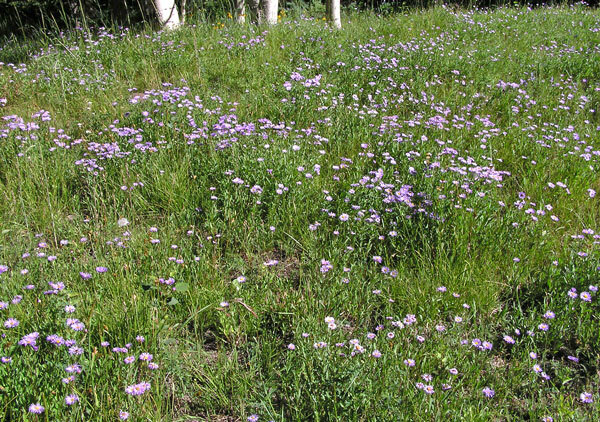 Hundreds of plants often carpet meadows. 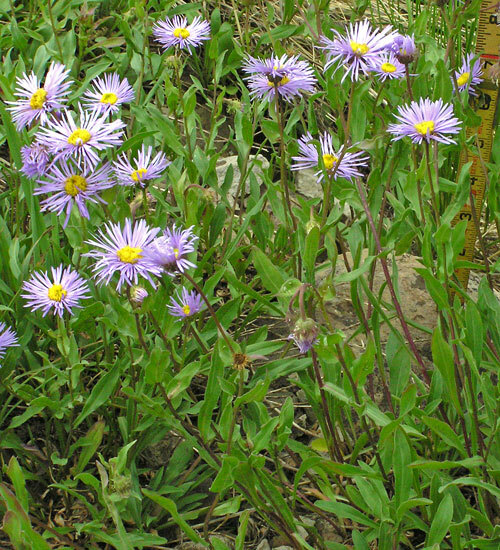 Erigeron speciosus and Heliomeris multiflora abound in meadows and open woods through July and August. 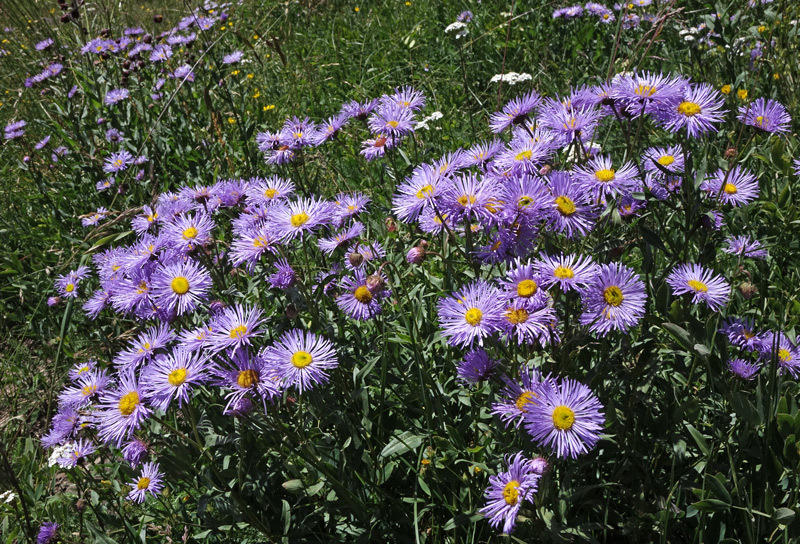 Click for a photograph of an Erigeron speciosus and Heliomeris multiflora meadow.